Each year, it is seems as if something new appears on the internet. The problem is that fads, also known as trends, come and go. Although it is difficult for a particular internet activity to stay popular for a period of time, there is one that seems to be doing well and it doesn’t show any signs of fading. That is the use of online videos, namely YouTube. Online video websites are defined as online websites that post videos. Once a video has been loaded onto the website, it can easily be found and viewed by thousands, if not millions, of internet users. In addition to allowing internet users to view online videos, many video websites also give internet users the option to create, upload, and share their own videos. As previously mentioned, YouTube is one of the most popular online video websites. In fact, it is so popular that when asked about video sites many individuals automatically respond with YouTube. Whether you have used the services offered by YouTube or not, you may be wondering what is so great about the site. What is it that makes millions of interest users view it, some on a daily basis. The answer isn’t as simple as you may think. This is because there are a number of different reasons why YouTube has become so popular. One of those reasons were mentioned above, online video websites give internet users the ability to make, load, and share their own videos with the rest of the world. This is something that is literally amazing. Millions of individuals have a good idea or thought that they would like to document or share, but many are unable to do so without the assistance of YouTube. After you have created your own video, you can easily have it uploaded, often in as little as a few minutes. In addition to being able to create your online videos, you can also view those that others have created. What is nice about YouTube is that they accept a wide variety of different videos, all on different topics, issues, and subjects. 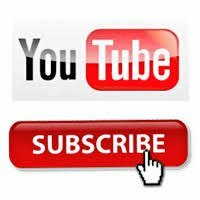 On YouTube, you can find videos focusing on pets, entertainment, sports, cars, and comedy. One of the few restrictions that YouTube has is that videos must be no longer than ten minutes. This means that you could enjoy a video while taking a short break at home or at work. It is also nice that you are not required to listen to boring advertisements, as many other online video websites require you to do. Perhaps, the greatest reason why YouTube is so popular is because it is free. Yes, free. This means that you can not only watch as many videos as you want, without having to pay a thing, but you can also make and share your own. Although YouTube is free to use, they do request that you register with them. This registration is also free. Despite being optional, the registration will give you access to other YouTube features, including the ability to rate videos that you have recently watched. In addition to being free, YouTube is also popular because it is easy to use. You do not have to be an experienced internet user to enjoy online entertainment. With easy to use categories and search features, you should be able to find and watch online videos that peak your interest, without having to spending hours or even days familiarizing yourself with the website.